World Diabetes Day is observed on 14 November. For 2009 - 2013, the theme of World Diabetes Day is "Diabetes Education and Prevention", which aims to raise public awareness of diabetes risks and control. Diabetes is a significant economic burden for public health systems worldwide. 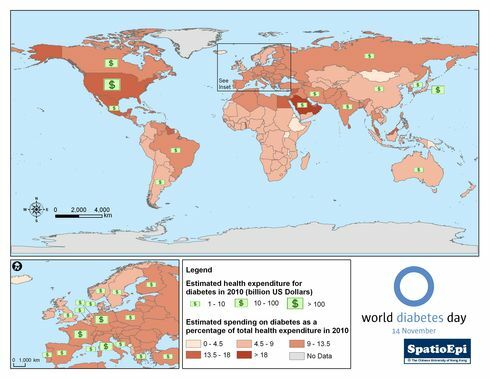 The map shows the estimated health (health care and prevention) expenditure for diabetes by country in 2010. As depicted by graduated colours, North American and European countries are allotting a higher percentage of health expenditure on diabetes than those in Africa. This can also be a reflection of the national priorities in controlling diabetes over other disease conditions. The banknote symbols show the top 30 countries in actual spending for diabetes. 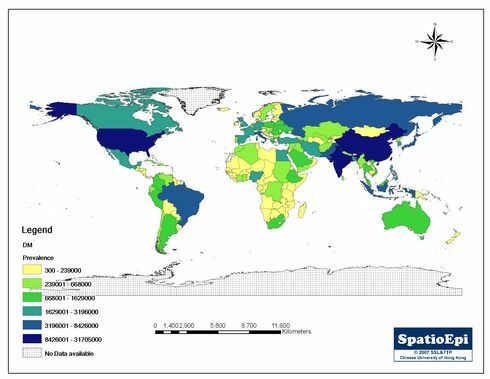 Data for this map were obtained from a research report of International Diabetes Federation. Diabetes Mellitus (DM) is a metabolic disorder which affects sugar regulation in the body. There are two types of DM: Type I, Insulin Dependent Diabetes Mellitus (IDDM) and Type II, Non-Insulin Dependent Diabetes Mellitus (NIDDM). In Type I DM, the body has problem in producing beta cell in the pancreas (beta cells are responsible for producing insulin). Type II DM is characterised by insulin resistance instead. Insulin is a sugar-metabolizing hormone, the lack of which can lead to high blood sugar, and the presence of sugar in the urine. This is the phenomenon behind the name DM, which literally means sweet and excessive urine. Insulin is a hormone released from pancreas to facilitate the process of turning glucose into glycogen and triglyceride for storage in our body. Insulin injection may be used to control blood sugar level of Type I diabetes patients or Type 2 diabetes patients whose blood sugar level cannot be controlled merely with oral medications. Raised blood sugar may cause serious damage of the nerves and blood vessels, thereby increasing the risk of heart diseases, stroke, retinopathy causing visual loss, kidney failure and neuropathy. World Diabetes Day falls on 14 November, which is also the birthday of Frederick Banting, one of the medical scientists who discovered insulin in 1922. 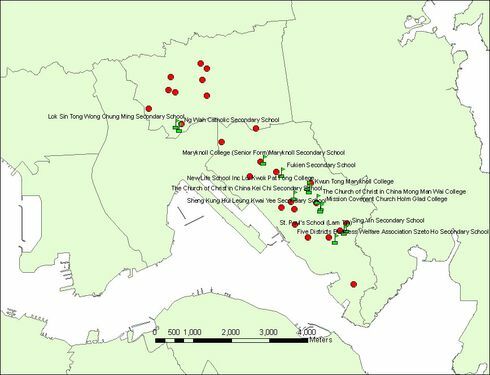 Where can school children eat healthily?